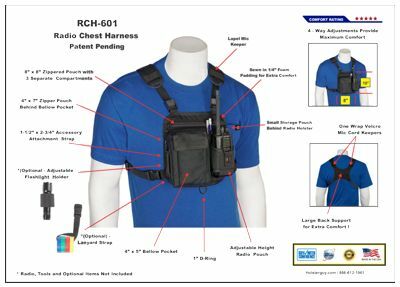 The RCH-601 Radio Chest Harness is designed to be a low profile Two Way Radio / Essential Tool Carrying Solution. It comes with six different pockets and pouches. Has a Universal Sizing Radio Pouch that is designed and capable of handling just about any medium to large hand held two way radio in the marketplace. It has four torso adjustments allowing maximum comfort for the end user, plus options for attaching a flashlight and lanyard strap. 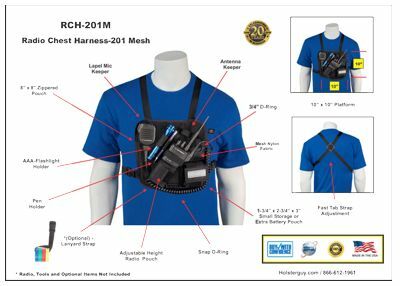 The RCH-201M Radio Chest Harness has a Nylon Mesh Fabric Platform, which allows the radio holster to breathe and minimize heat buildup. 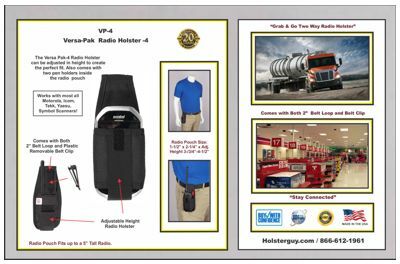 The universal sizing radio pouch is designed and capable of handling most medium to large hand held two way radios in the marketplace. The RCH-201S Radio Chest Harness has a Solid Fabric Platform. The universal sizing radio pouch is designed and capable of handling most medium to large hand held two way radios in the marketplace. 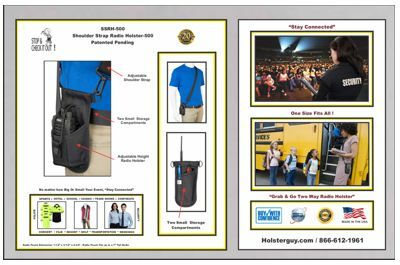 The Patent Pending "Grab N Go Radio Holster" RTP-401 allows you to carry your essential tools in one of six different pockets or pouches. The universal sizing capabilities for the Radio and Flashlight means you can carry with confidence knowing it will work with your existing equipment. 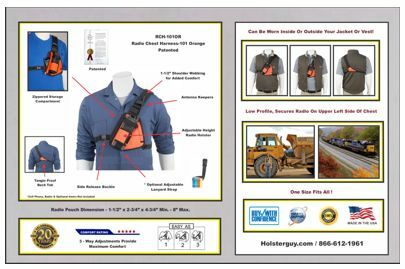 The Radio Tool Pouch can also be worn with a belt or the supplied adjustable shoulder strap. 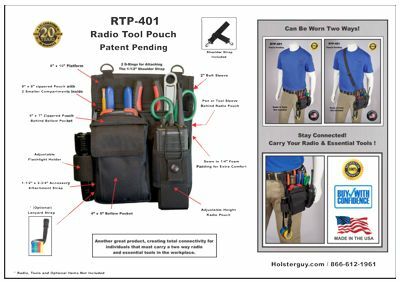 RTP-401P allows you to carry your Radio and Essential Tools in one of 12 different pockets or pouches. It can also be worn 3 different ways. (Preferred Wearing Method shown above) Can also be worn by itself with either with the Belt or Shoulder Strap, Click on pic to learn more. 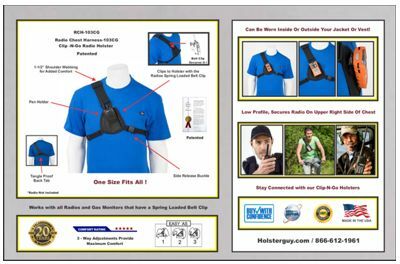 Need More Two Way Radio Holster Options ? 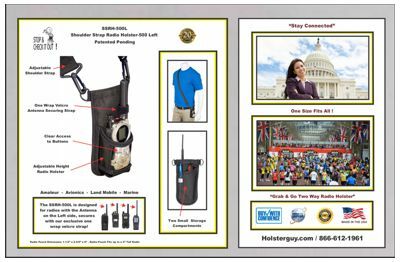 Check out our other Grab N Go Radio Holsters! The SSRH-500 is designed to work with any individual in any working environment that requires carrying a two-way radio and a couple small essential tools to complete their task. 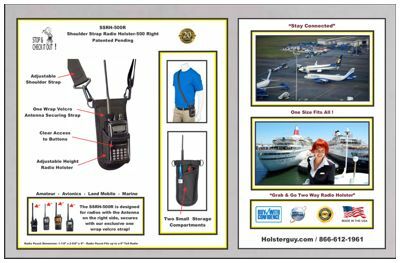 The SSRH-500L "Grab-N-Go Radio Holster is designed to work with two-way radios that have the antenna located on the left side of the radio body. Radio is secured in the holster with our exclusive One Wrap Velcro Strap. 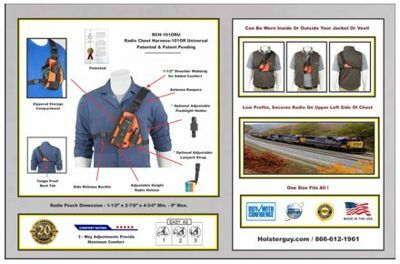 The universal sizing two-way radio pouch holds radio's 3" to 5" tall. The front of the radio pouch is clear vinyl, so you can see and use your radio controls. 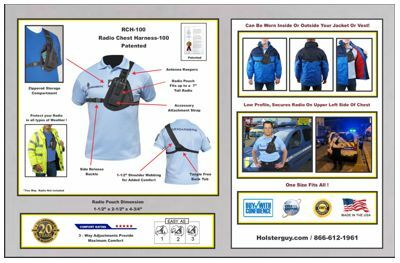 The SSRH-500R "Grab-N-Go Radio Holster is designed to work with two-way radios that have the antenna located on the right side of the radio body. Radio is secured in the holster with our exclusive One Wrap Velcro Strap. 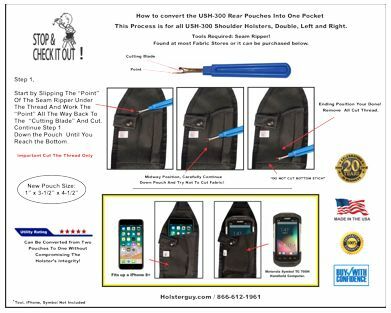 The universal sizing two-way radio pouch holds radio's 3" to 5" tall. The front of the radio pouch is clear vinyl, so you can see and use your radio controls. Our Patented "Grab N Go Radio Holster" RCH-101U is designed to be a low profile two way radio carrying solution. It offers an adjustable height radio pouch that will accommodate all medium to large two way radios, three torso adjustments provide maximum comfort to the end user. It also creates a "Hands free" working environment and will keep your radio safe and secured on the upper left side of your chest. The RCH-100 Radio Holster is designed to be a low profile two way radio carrying solution. Has three torso adjustments that provide maximum comfort. 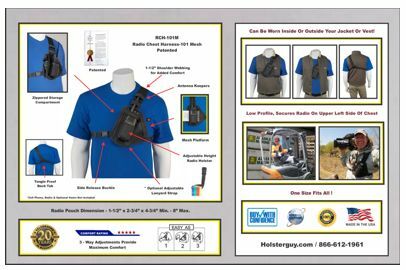 It also creates a "Hands free" working environment and will keep your radio safe and secured on the upper left side of your chest. Other features include a small zippered pocket for storage of small items, can be worn inside or outside most jackets and vests. The RCH-101 Radio Holster is designed to be a low profile two way radio carrying solution. Has three torso adjustments that provide maximum comfort. It also creates a "Hands free" working environment and will keep your radio safe and secured on the upper left side of your chest. Other features include a small zippered pocket for storage of small items, can be worn inside or outside most jackets and vests. The RCH-101M Radio Holster is designed to be a low profile two way radio carrying solution. Has three torso adjustments that provide maximum comfort. It also creates a "Hands free" working environment and will keep your radio safe and secured on the upper left side of your chest. Other features include a small zippered pocket for storage of small items, can be worn inside or outside most jackets and vests. The RCH-101OR Radio Holster is designed to be a low profile two way radio carrying solution. Has three torso adjustments that provide maximum comfort. It also creates a "Hands free" working environment and will keep your radio safe and secured on the upper left side of your chest. Other features include a small zippered pocket for storage of small items, can be worn inside or outside most jackets and vests. 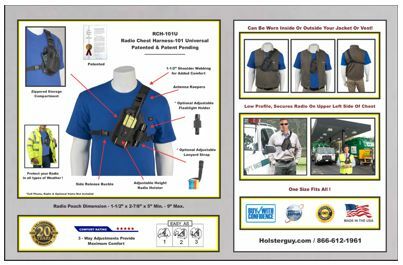 Our Patented "Grab N Go Radio Holster" RCH-101ORU is designed to be a low profile two way radio carrying solution. It offers an adjustable height radio pouch that will accommodate all medium to large two way radios, three torso adjustments provide maximum comfort to the end user. It also creates a "Hands free" working environment and will keep your radio safe and secured on the upper left side of your chest. 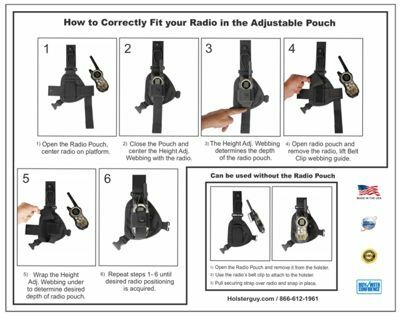 Adjustable Radio pouch works with most all FRS radios and similar sized devices. One size fits all, can be worn by a child or an adult. 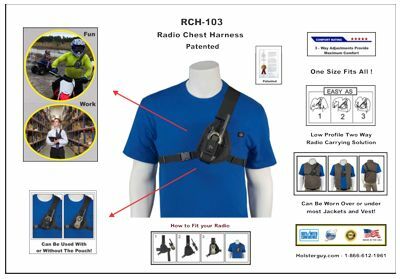 The RCH-103 Radio Holster is designed to be a low profile two way radio carrying solution. Has three torso adjustments that provide maximum comfort. It also creates a "Hands free" working environment and will keep your radio safe and secured on the upper left side of your chest. Other features include a small Velcro pocket for storage of small items, can be worn inside or outside most jackets and vests. The RCH-103CG Radio Holster is designed to be a low profile Two Way Radio / Gas Monitor carrying solution. Has three torso adjustments that provide maximum comfort. It also creates a "Hands free" working environment and is secured on the upper right side of your chest. 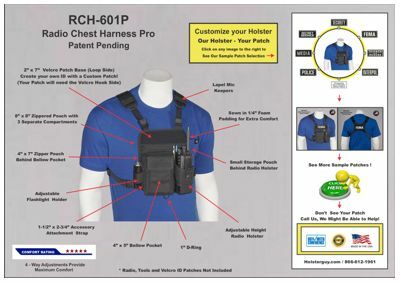 The RCH-103CG can be worn inside or outside most jackets and vests! 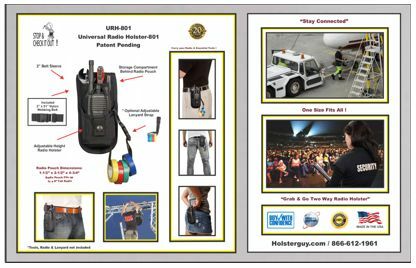 Our Grab-N-Go Radio Holster" URH-801 is designed to work with any individual in any working environment that requires carrying a two-way radio and a couple essential tools to complete their task. 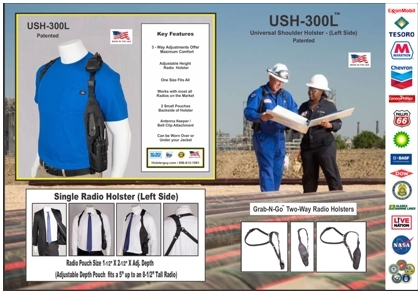 The universal radio pouch is capable of handling just about any small, medium or large radio. Also included with the holster is the ANB-104 nylon belt. 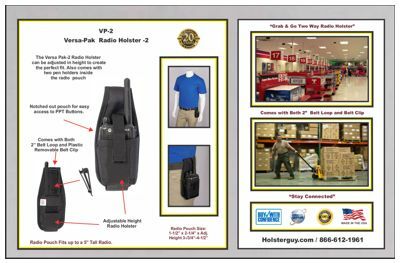 Our "Grab N Go Radio Holster" VP-2 is designed to work with any individual in any working environment that requires a Hand Held Two Way Radio and carry essential tools to complete their task. The Universal Two Way Radio Pouch was designed and is capable of handling just about any Hand Held Two Way Radio on the market. 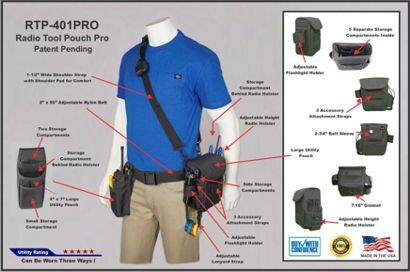 Our "Grab N Go Radio Holster" VP-4 is designed to work with any individual in any working environment that requires a Hand Held Two Way Radio and carry essential tools to complete their task. The Universal Two Way Radio Pouch was designed and is capable of handling just about any Hand Held Two Way Radio on the market. 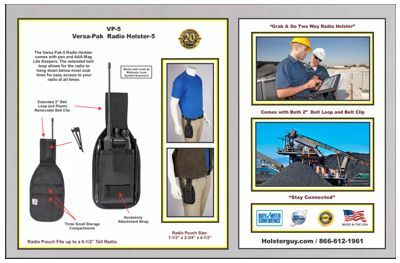 Our "Grab N Go Radio Holster" VP-5 is designed to work with any individual in any working environment that requires a Hand Held Two Way Radio and carry essential tools to complete their task. The Universal Two Way Radio Pouch was designed and is capable of handling just about any Hand Held Two Way Radio on the market. 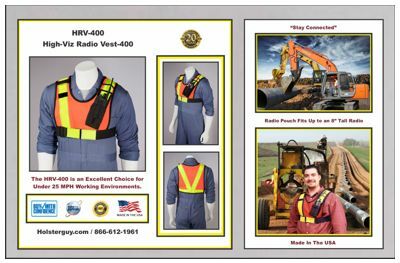 The HRV-400 works great for individuals that drive Forklifts, Heavy Equipment, employees of Barge lines, Search & Rescue, Warehouse, Parking attendants and any other under 25 MPH traffic situation where increased visibility required. 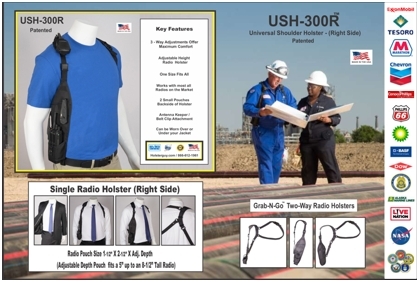 Our Multi-Patented USH-300D Holster is designed to work with various individuals in just about any working environment that requires them to carry more than one Hand Held Two Way Radio. 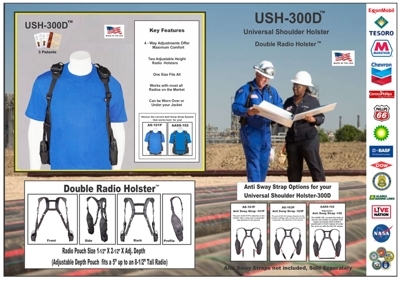 Our Multi-Patented USH-300L Radio Shoulder Holster was deisgned to be worn by individuals in all types of environments from Rugged to Sophisticated! 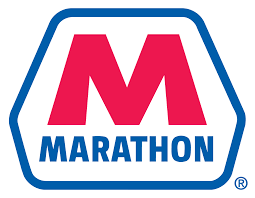 Proven time and time again to be the professionals choice for carrying your two-way radios. The USH-300R Radio Shoulder Holster was deisgned to be worn by individuals in all types of environments from Rugged to Sophisticated! 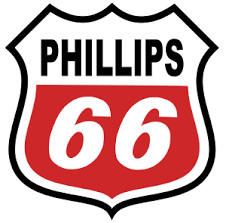 Proven time and time again to be the professionals choice for carrying your two-way radios and other personal items. Holsterguy.com home of the one size fits all company! Send us your photos so we can put you here! 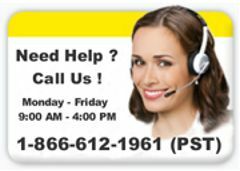 Well over 100,000 customers trust our products worldwide !